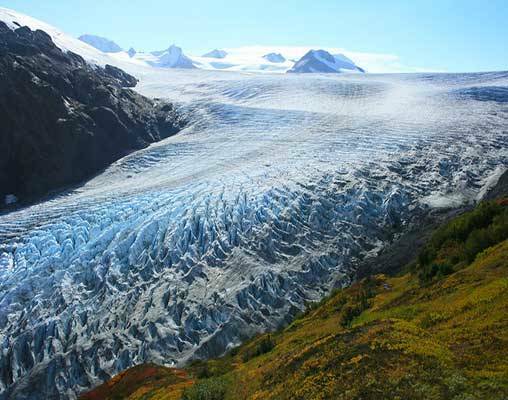 Enjoy this 10-day Alaskan adventure that explores the state's backcountry as you weave along beautiful glaciers and trek stunning trails. 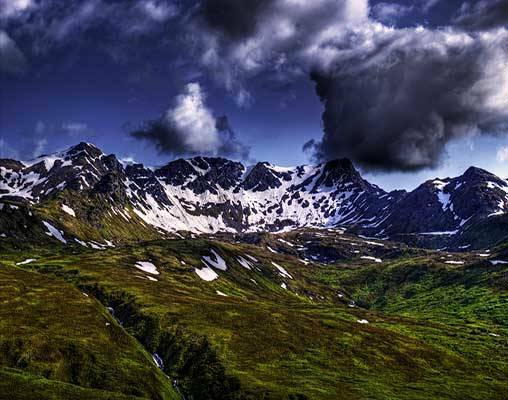 This amazing Alaskan adventure takes you to Anchorage, Seward, Girdwood and Talkeetna as you explore the outdoor beauty of this great state. 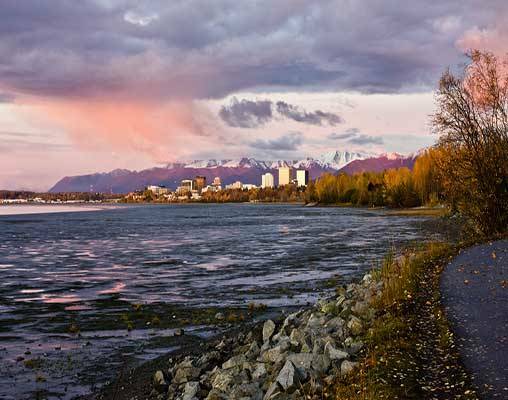 Kick off the tour with a day on your own to explore Anchorage, Alaska's largest city. Then the rail journey begins as you head toward Girdwood. Along the way, you'll see glaciers up close as you stop for a raft trip among icebergs and top it off with a delicious salmon bake with Spencer Glacier as your backdrop. You'll then explore Kenai Fjords National Park and cruise Resurrection Bay before heading back to Anchorage. Next, a full-day train ride takes you to Denali National Park, where you'll have two full days to explore once you settle in. Your time includes a guided tour as you travel deep into the park along restricted access roads. You then have an entire day to explore the park on your own. You can hike, bike, or even fish. The day is yours to make the most of this lovely land filled with wildlife in their natural habitat. A short train ride takes you to the fun village of Talkeetna where you wrap up the afternoon with a guided hike. The next day includes a boat tour of National Wild River Park before you head back to Anchorage. Arrive in Anchorage, Alaska's largest city. Book an excursion, or explore shops, museums, and restaurants at your leisure. Overnight in Anchorage. Depart on the Glacier Discovery Train for a full day adventure. Your first stop is the Alaska Wildlife Conservation Center, home to bears, moose and more. Re-board the train to continue on to the Spencer Glacier Whistle Stop, where you'll disembark to raft amid glacial icebergs before enjoying an authentic Alaskan salmon bake in full view of Spencer Glacier. 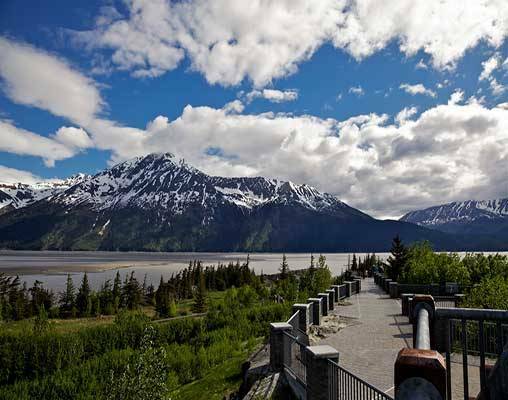 Ride the rail to Girdwood and overnight at the Hotel Alyeska. 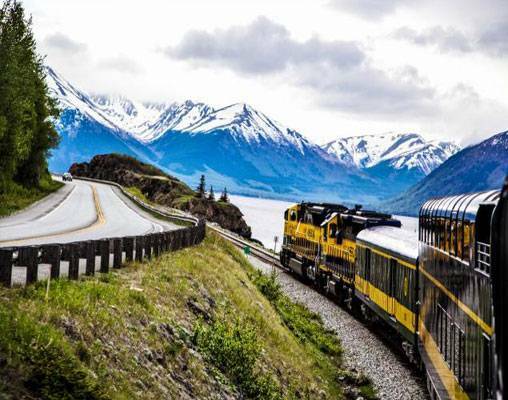 Enjoy spectacular views of backcountry glaciers aboard the Coastal Classic Train to the charming port town of Seward. Travel by boat to your home for the evening: the island getaway of Kenai Fjords Wilderness Lodge. Watch for wildlife and glaciers aboard a day cruise of beautiful Resurrection Bay. Upon your return to Seward, board the Coastal Classic Train for a late evening arrival into Anchorage. Overnight in Anchorage. Travel to Denali National Park aboard the Denali Star Train. 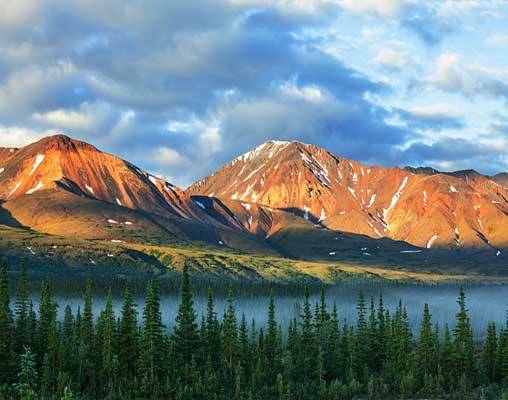 This scenic, full-day trip from Anchorage offers views of Denali along with wildlife and backcountry beauty. The late afternoon arrival at the Park leaves time for exploration. Overnight in Denali. Take advantage of the best wildlife viewing as you travel 92 miles into the farthest reaches of the Park on the restricted access Park road. 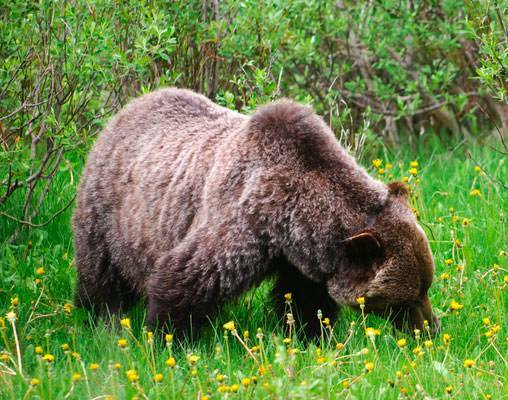 Incredible wildlife sightings are common, including grizzly bears, moose, wolves, foxes, caribou, eagles and much more. Spend the night at Denali Backcountry Lodge. This day is entirely dedicated to enjoying the Denali backcountry, with options to hike, pan for gold, fish for grayling, mountain bike or just relax. Overnight at Denali Backcountry Lodge. After a hearty breakfast, guests return to the Denali Train Depot for the short train trip to Talkeetna. This funky little village is known for its spectacular views of Denali. Arriving late in the afternoon, travelers can stretch their legs with a short guided hike, spotting wildlife and learning about old-growth forests. Overnight in Talkeetna. Day 9 - Train to Talkeetna. Your Glaciers, Rail & Trails will conclude today. Click here to view testimonials for Glaciers, Rails & Trails. Everything went as planned. Excellent service all around. Thank you Vacations by Rail for your help in planning this adventure- it was fantastic!! Enter your details below if you would like to be notified when 2020 dates and prices are available for Glaciers, Rails & Trails.